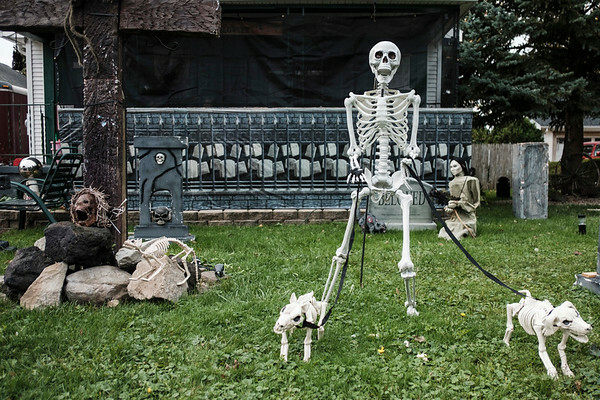 Joed Viera/Staff Photographer-A skeleton walks a pair of deceased dogs on Mary Penright's terror filled halloween lawn. Penright's son in law Mike Stawick has been decorating their residences with nightmare inducing displays for close to a decade. To see and tour the haunted yards head over to 25 and 26 Crosby Road.